Snacker-Boxes are care packages for Midshipmen made right on the USNA YARD! 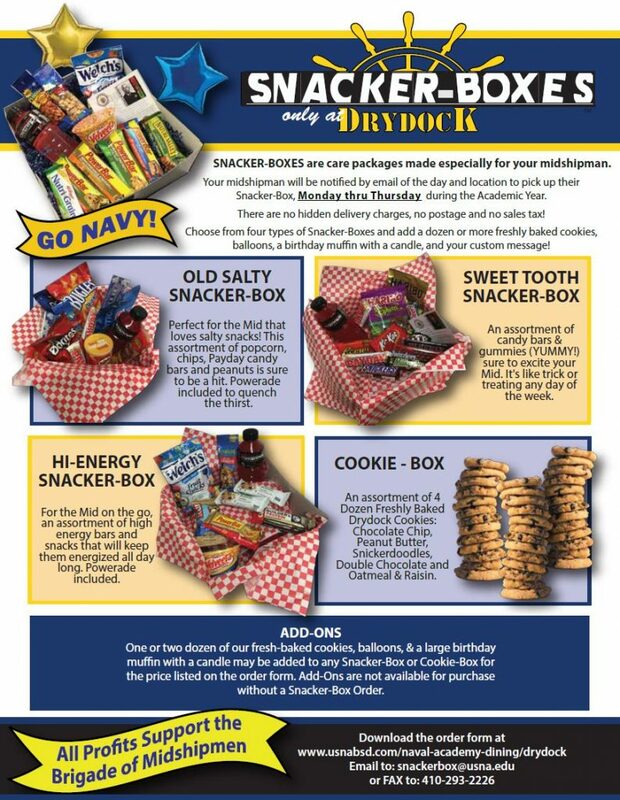 All it takes is one email with your order information & Drydock Restaurant will deliver your choice of Snacker-Box & add-ons right to your Midshipman’s room! No postage, no sales tax, no hidden delivery charges! Choose from three types of Snacker-Boxes, and add a dozen or more Freshly Baked Cookies, Ballons, and a Birthday Muffin with a Candle & your custom message.